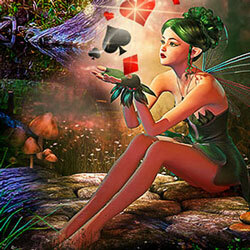 Intertops Casino is awarding $120,000 this month during its Magic Forest casino bonuses event. Every week 300 players will get bonuses up to $500 each. That's $30,000 weekly until November 30! Then there's a $1000 cash prize draw. Enchanting! You automatically earn points when you play any of the casino’s hundreds of games from Realtime Gaming at Intertops. You earn bonuses based on your points ranking. If you're in the top twenty players any week you're entered in the draw for a $1000 cash prize on December 1. Every Thursday, 50 players that have played earlier in the week will get additional bonuses up to $150. Intertops is one of the most popular and most trusted online casinos in the world. Players can use the same wallet to play in the poker room or place bets in the sportsbook.